I have spent the week driving around Iowa. Among those I met were Clear Lake hog farmer Chris Petersen and Hiawatha restaurateur Jennifer Goodlove. Take a look at their stories, and more. Have your friends signed up? Any stories we should be chasing? Hit reply to this email or message me at steve@axios.com. Kaveh Waddell is at kaveh@axios.com and Erica Pandey at erica@axios.com. The big picture: While his is a dramatic rendering of the state of American agriculture, Petersen has a point — across industries, the U.S. has become a country of monopolies. In agriculture, four companies control 66% of U.S. hogs slaughtered in 2015, 85% of the steer, and half the chickens, according to the Department of Agriculture. The heyday, in Petersen's memory, was the 1970s, when "rural America was ungodly vibrant." 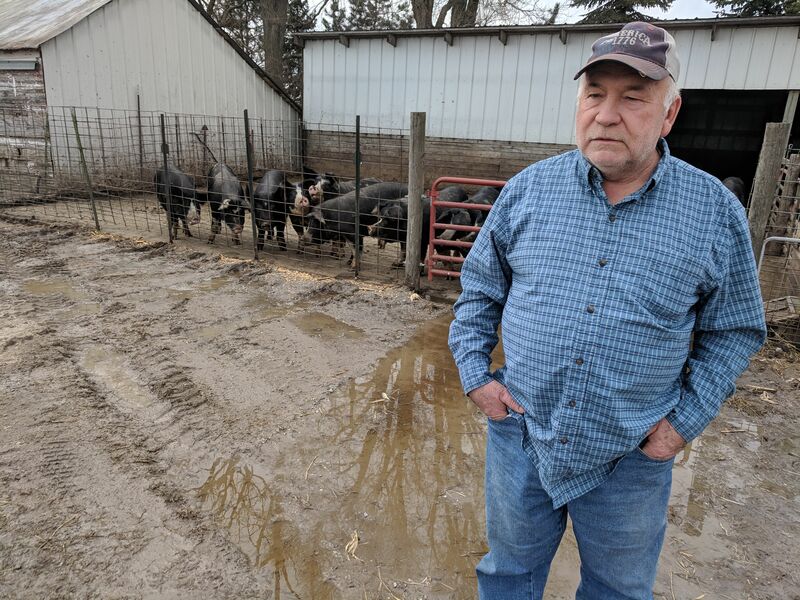 Sixty cents paid per pound of hog gave farmers a healthy profit, he said. In a statement, Tyson said: "We’ve been working with poultry farmers on a contract basis since the late 1940s and it has been a relationship we believe works well for both the farmer and the company. As noted on our website, contract farming insulates the farmer from the risk of changing market prices for chicken and feed ingredients such as corn and soybean meal, which represents the majority of the cost of raising chicken. So, farmers’ compensation is not dependent on what the feed costs, or prices at the grocery store." The whole sequence is outside the packers system. Here in Iowa, you can see this happening in real time: The state's 19 "micropolitans" — population centers outside the gravitational pull of any big city, which exercise their own pull on smaller communities in their own region — are shrinking and aging. Two examples: As you see above, Cerro Gordo County's 65-and-over population surged to 20.6% in 2016 from 11.8% in 1970, according to data compiled by Swenson. In Dickinson County, one out of four people are 65 or older, compared with 14.2% in 1970. 1. A new age of epidemics: How we live affects the spread of disease. 2. The squeeze of monopolistic platforms: Big Tech has a familiar pattern. 3. Gutenberg's legacy: A new flood of information roiled politics back then, too. 4. Rebooting high school: Across the country, fixing what teens learn. 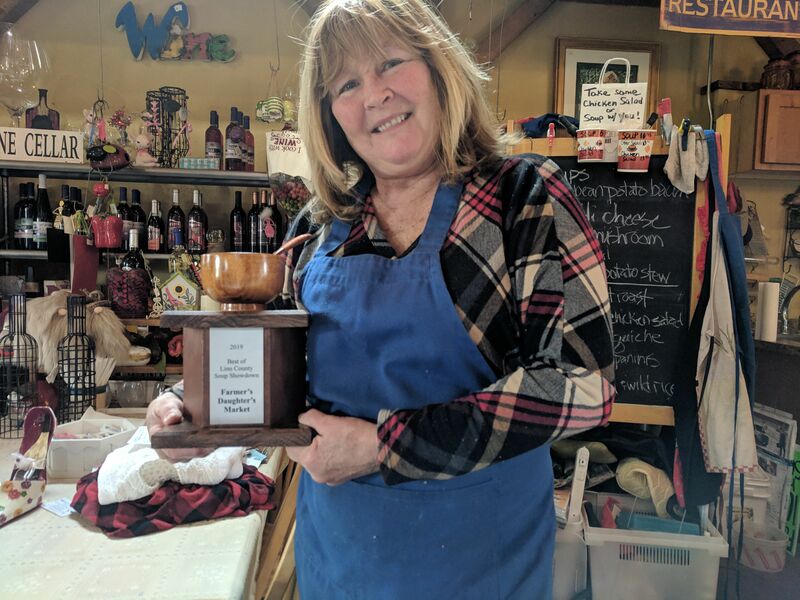 HIAWATHA, Iowa — They announced the championship soup of Linn County this week, and the winner for 2019 was Jennifer Goodlove's incredibly scrumptious green bean potato bacon. On Wednesday, Joe Peiffer, a prominent U.S. bankruptcy lawyer, took me to Jennifer's restaurant, The Farmer's Daughter. We followed up the soup with utterly delectable Mississippi pot roast and mashed potatoes.